HomeApril Update – April was tough!! April Update – April was tough!! April was a rough month in our house this year. We decluttered 5 items – I think this is the least amount ever! Grand total this year is 657. We have a ways to go to reach our 2017 goal of 2017. We are enjoying the “freedom” of less in the house! 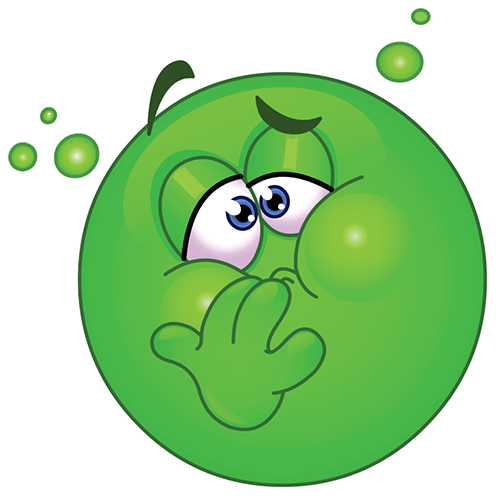 Barb had a stomach bug and missed 2 days of work (Thursday and Friday 4/13 and 4/14). Anyone who is a teacher knows that missing work unexpectedly is horrible. The first day she text a coworker and she handled the sub plans. Thank you Stefny!! We got onto a plane Saturday to enjoy the holiday weekend with kiddo #1 in San Francisco area to fly home Sunday night with kiddo #2 in tow. Kiddo #2 flew in on Friday – it was the first Easter with both kiddos in 5 years! Such a blessing! Monday night kiddo #1 called – mommy made her sick. Thursday Barb developed a cough and low grade fever. We then went apartment hunting on Saturday for Kiddo #2 since she will be living about an hour away – horray!! By Sunday it was a high fever and nasty cough. Our Doctor-to-be (in 2 weeks!!) insisted she go to the doctor on Monday. She even escorted Barb since she was so miserable. Antibiotics and cough medicine prescribed. Barb missed work again on Monday and Tuesday (4/24 and 4/25). As of today, tiredness and coughing still happening. Will this ever end? This comic represents life when the cough medicine wears off about 3 am. Because Barb is on the district science committee, she misses a lot of school for meetings. At least those are known in advance and you can plan ahead. Illness is horrible for planning. Teachers rarely take sick days because of true illness! John and kiddo #2 picked up the slack for the 2 + weeks Barb was under the weather. THANK YOU!! So as you can see, decluttering was nearly nonexistent during April. We did eliminate an old, ugly, holey t-shirt John insisted on still wearing. Some things are such accomplishments they have to be mentioned!! Feeling better every day! Thanks!! Aw no, Barb! I hope you are finally well! Unexpected absence for a teacher, is even scarier, and worse than actually being sick! At least you did 5 things! And that T-shirt sounds like it counted for 10 all by itself! Thanks! I consider it a win regardless of number! And kiddo #2 didn’t get him a replacement when she went back to campus today for a sorority event. Win win!! Starting to feel better – thanks! I’m sure I have something that needs to go too but he is too nice to tell me.